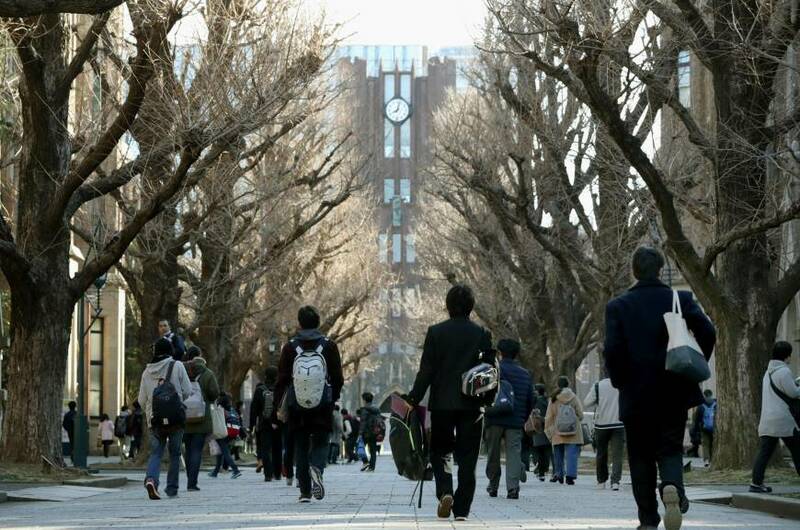 The University of Tokyo was crowned the nation’s top university for teaching and learning environments in a first-ever Japan ranking by the Times Higher Education (THE) magazine, with Tohoku University in Miyagi Prefecture coming in second and Kyoto University placing third. In THE Japan University Ranking 2017, produced in cooperation with educational services company Benesse Holdings Inc., national universities dominated the first nine spots. Seven were former Imperial universities founded between 1886 and 1939, including Nagoya University and Osaka University, which are considered to be on par with Ivy League schools in the United States. Renowned private institutions Waseda University and Keio University came in at No. 10 and No. 11, respectively. Unlike its annual global ranking that places greater focus on research performance, the Japan ranking emphasized what the institutions offer students. They were graded on four categories: educational resources, educational satisfaction, outcomes, and international environment, according to THE. By category, municipal public institution Akita International University topped the educational satisfaction ranking, while Ritsumeikan Asia Pacific University, which boasts students from 87 countries, led the international environment category. The University of Tokyo, commonly known as Todai, took first or second place in three of the four categories. But when it came to the internationalization of its campus, Todai lagged behind many, coming in at No. 54. Indeed, Japan is infamous for its poor internationalization of higher education. 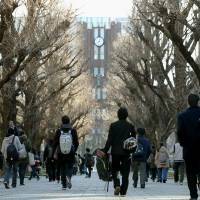 According to data released by the Japan Student Services Organization, as of May last year, the number of international students in Japan stood at 239,287, about 15 percent higher than a year earlier. But nearly 30 percent were students at Japanese language schools. In the annual THE world ranking released in September, the University of Tokyo was ranked at No. 39 and Kyoto University at No. 91. The two were the only Japanese universities that made it into the top 200. A total of 406 universities cooperated with the Japan assessment. The ranking was the second national ranking by THE following U.S. college rankings released last year.